1958. Previously my older brother Jim (b. 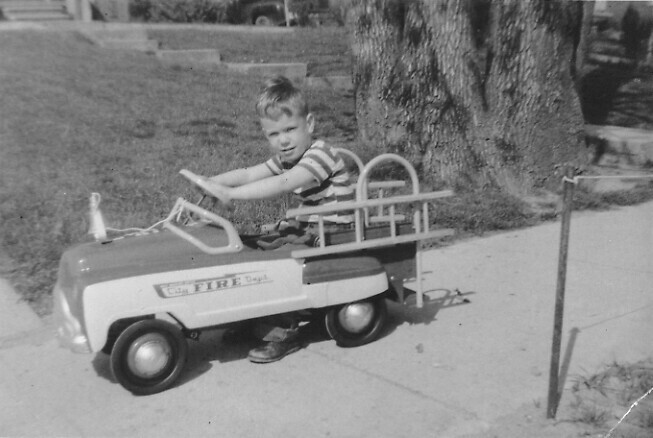 1950) got a cool white convertible for his birthday. Here I show off my sleek new fire truck on my birthday! Hot stuff!